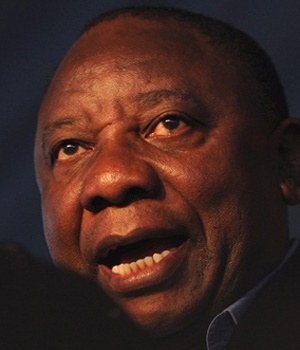 The Ramaphosa trade: Long on SA's fortunes, but for how long? Johannesburg - The presidential fiscal committee is a short-term institution aimed simply at weakening Treasury, says Deputy President Cyril Ramaphosa. “It was mainly created to get funding for free tertiary education. I am strongly opposed to the fact that Treasury is being undermined in this way. I cannot see a longer-term future for it,” he said in reply to questions by City Press last week. President Jacob Zuma appointed the commission in September. The sudden resignation of Treasury’s budget office head, Michael Sachs, last month was attributed to Zuma’s interference through the committee, which began to cut R50 billion from other government budget items, to be used to finance free tertiary education. The problems at Eskom played a key role in the fact that ratings agency S&P Global last week lowered the country’s domestic debt to junk status. Moody’s postponed making its decision until after the country’s budget had been delivered in March next year, Ramaphosa said. This week, S&P Global and Moody’s downgraded Eskom’s long-term credit rating. “The downgradings are the result of a perfect storm in which Eskom is trapped,” he said. “The downgradings were done because of problems concerning corporate governance and financial stability at Eskom. The question we have to ask ourselves is whether these problems can be solved. And I think they can very definitely be solved,” he said during a breakfast session with journalists in the parliamentary gallery in Cape Town. “Investigations now being conducted around Eskom show us for the first time how bad it really is. However, he said the fact that these matters were coming to light was positive, as it would allow them to determine what was wrong and find a way to fix it. “The board is being restructured. We must get the right people who can solve those problems and who can make sure that we put Eskom’s future on a safer footing. “Eskom is a huge company that plays a powerful role in our economy. Eskom, in fact, keeps our economy running, and therefore it must be properly stabilised – at a financial level, but also at an operational level and at the level of corporate governance. Finance Minister Malusi Gigaba said several times during the medium-term budget policy statement, delivered on October 25, that the government would not be able to help Eskom if anything went wrong with its finances now. However, Ramaphosa was insistent that the government must not approach the International Monetary Fund to help Eskom, should the need arise. “That would be a huge backward step for us because it would mean that we are giving up our independence and sovereignty. “It is crucially important for every country to protect and stabilise its economy. We connect in a global world with other players, so it is crucial for us to manage our economy ourselves. “We cannot afford to give up our sovereignty because of an institution like Eskom. *SUBSCRIBE FOR FREE UPDATE: Get Fin24's top morning business news and opinions in your inbox.